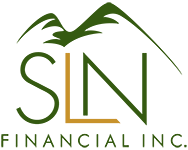 September 2, 2015 - 6 Ways to Protect Yourself From Identity Theft and Fraud | SLN Financial, Inc.
1. Unless absolutely necessary to complete an application, don’t give out your Social Security number even when it appears on a form. Many scammers target office trash and improperly secured documents for valuable personal information. 2. Never give out personal information in response to an incoming phone call. Scammers have become very adept at “spoofing” calls and your caller ID may show that the call is coming from an official agency. If someone calls you claiming to be from your financial institution, the IRS, or another government agency, ask them for an employee number or case number and call them back on an official number. You should be able to find these numbers online or in your phone book. 3. Never click a link in an email from a bank or financial institution. Always access your financial accounts directly from the known website. If you receive an email saying that your account has been blocked, call your financial institution directly using a public 1-800 number. 4. Unsolicited callers who become aggressive or use threatening language are always scammers. If you receive a threatening call, hang up and report the number. You can report IRS-related fraud to the Tax Fraud Hotline recording at 1-800-829-0433 and identity theft to the Federal Trade Commission at 1-877-ID-THEFT. 5. Never send money via Western Union or prepaid debit card to someone you don’t know. The IRS will never ask you to pay your taxes that way. 6. Check your credit report annually for free at annualcreditreport.com. Check financial statements, doctor’s bills, and insurance statements carefully to make sure that no fraudulent activity has occurred. If you suspect a fraud, contact the relevant company immediately.